Frequent restaurant guests, especially “foodies”, crave new flavors and expect variety and creativity in menus, but they also demand authenticity in the food you serve them. Frequent restaurant guests, especially “foodies”, crave new flavors and expect variety and creativity in menus, but they also demand authenticity in the food you serve them. 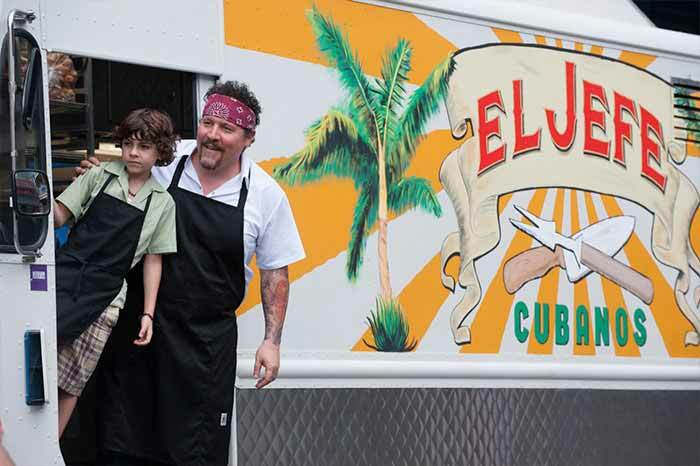 Jon Favreau, who stars in and directs the new independent movie Chef, goes to great lengths to ensure that viewers also experience the authenticity of a real chef in this wonderful film. Chef is a feel-good movie about a chef (Favreau) at a trendy Los Angeles restaurant who loses his job due to creative differences with the controlling restaurant owner (played by Dustin Hoffman). At the insistence of his beautiful ex-wife (Sofia Vergara) and the help of his loyal line cook (John Leguizamo), Chef Carl finds his mojo serving Cuban food out of a truck as he makes his way cross-country from his native Miami back to Los Angeles. Along the way, he rediscovers his passion for cooking and bonds with his young son, who he had previously neglected in favor of his demanding job. To ensure authenticity in how he portrays Chef Carl, Favreau enlisted the help and guidance of famed L.A. Chef Roy Choi, of Kogi BBQ Taco Truck fame and who is credited with starting the L.A. food truck craze that is still popular today. Favreau portrays the “real thing” throughout the movie, from acting out each cooking scene with the passion and heart of a true chef, to teaching his son the important connection between a chef and his knife. Chef Carl also takes the time to educate his son about the main staples of Cuban food, including some of our favorite products, plantains and yuca. Fueled by the power of social media and with the help of his son, Chef Carl’s new venture becomes a hit as he makes his way back to L.A. Throughout his trip, he stops by renowned restaurants such as Miami’s Versailles, New Orlean’s Café du Monde and Austin’s Franklin BBQ. Chef is a must-see for foodies and food industry folks everywhere, or simply for those craving an authentic, delightful time at the movies.